Mississippi state parks evolved not out of the conservation impulses of the Progressive era but out of the pragmatic need to employ Mississippians and create recreation areas during the Great Depression. Mississippi state parks, like state and national forests, were created with an eye toward multiple uses and rather than specifically preservation. The first Mississippi parks, created by the Civilian Conservation Corps (CCC), offered immediate employment opportunities with the promise of wise resource stewardship and recreational facilities for the future. And though few in the state had a long-term vision for these new parks, most agreed that the jobs they provided and conservation of the lands they encompassed made them worthwhile. Between 1935 and 1941 the CCC created ten state parks. Leroy Percy State Park was first, followed by Legion, Holmes County, Clarkco, Tombigbee, Wall Doxey (originally Spring Lake), Percy Quinn, Tishomingo, Roosevelt, and Magnolia (now part of the Gulf Islands National Seashore). Because few Mississippians had the wherewithal to travel out of state during the Great Depression, they began looking closer to home for recreation. Though none of the parks was completed, 42,000 people visited in 1937; four years later, with most of the original parks still under construction as a consequence of funding shortages, that number had skyrocketed to 450,000. 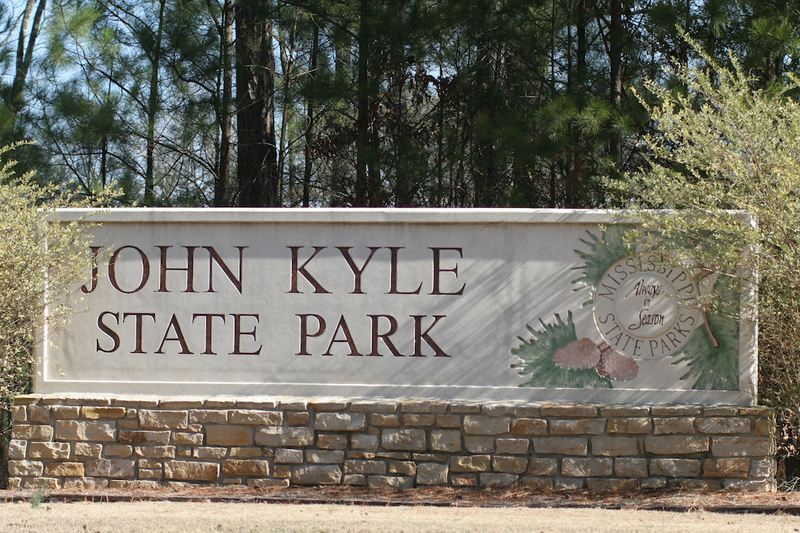 Despite pressures placed on them by increasingly mobile travelers, especially after World War II, and financial issues, Mississippi continued adding state parks. Prior to the 1956 creation of the Mississippi State Park Commission, the Mississippi Forestry Commission administered the parks. The parks subsequently became the purview of the Bureau of Recreation and Parks, which became part of the Department of Natural Resources in 1978 before moving to the newly created Department of Wildlife, Fisheries, and Parks in 1989. Mississippi now has twenty-five state parks: Buccaneer, Clark Creek, Clarkco, Florewood, George P. Cossar, Golden Memorial, Great River Road, Holmes County, Hugh White, J. P. Coleman, John W. Kyle, Lake Lincoln, Lake Lowndes, LeFleur’s Bluff, Legion, Leroy Percy, Natchez, Paul B. Johnson, Percy Quin, Roosevelt, Shepard, Tishomingo, Tombigbee, Trace, and Wall Doxey. In addition to hiking, fishing, and camping, the parks offer a variety of other recreational opportunities, including water parks, equestrian trails, mountain bike trails, disc golf, and miniature golf. The parks also include four golf courses: Mallard Pointe, the Dogwoods, LeFleur’s Bluff, and Quail Hollow.